In 1999, a group of Canadian shoulder surgeons convened with the unofficial title of “The Canadian Shoulder Research Group”, following the lead of Dr. Alexandra (Sandy) Kirkley from the University of Western Ontario, who nurtured the idea that Canada was uniquely positioned to perform multi-centered clinical trials around shoulder surgery. Tragically, Sandy died in a plane crash in September 2002, at which time Dr. Nick Mohtadi from Calgary assumed the leadership role of the association, with assistance from Ms. Sharon Griffin, who provided organizational support to the group for 16 years. Following a 2002 meeting, the group changed its name to Joint Orthopaedic Initiative for National Trials of the Shoulder (JOINTS Canada), led by Nick Mohtadi until 2006, at which time Dr. Richard Holtby was elected President. JOINTS research accomplishments include RCTs looking at thermal capsulorraphy vs. open capsular shift for MDI, cemented vs. uncemented humeral components for TSR, use of biological patches to enhance healing of rotator cuff tears and arthroscopic vs. open repair of rotator cuff tears. Several of these have been funded by CIHR. An increased focus on education initiated by the tireless work of Dr. Dominique Rouleau from Université de Montreal led to the inaugural JOINTS Canada Resident Shoulder Course in 2012 in Montreal. The Shoulder Course is now an annual focal point, bringing together shoulder surgeons, international invited guest teachers and residents from across the country. 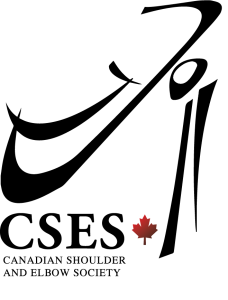 The course has taken place in Montreal, Ottawa and Calgary. Recently, members and non-academic clinicians have expressed interest in a broader scope for the organization. In 2015, Dr. Darren Drosdowech from University of Western Ontario was elected President of JOINTS and has led the recent evolution of JOINTS Canada into the newly named Canadian Shoulder and Elbow Society (CSES). 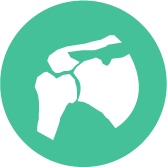 This group welcomes the inclusion of surgeons with an interest in elbow surgery and is dedicated to including the elbow as part of its mandate. The CSES’ broader academic perspective will focus on research, clinical activities and education, enhancing its relevance to all Canadian shoulder and elbow subspecialists and giving Canada a louder voice among subspecialty societies worldwide. We believe that this transformation will continue to honour Sandy’s initial idea for a national group of upper extremity specialists.